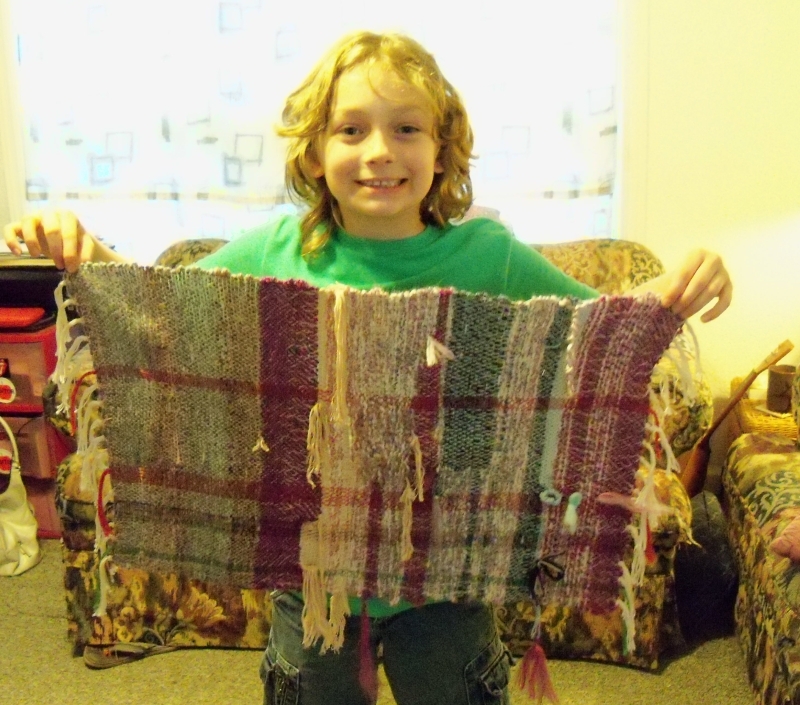 I offered a Saori style weaving meditation panel at my church’s auction. 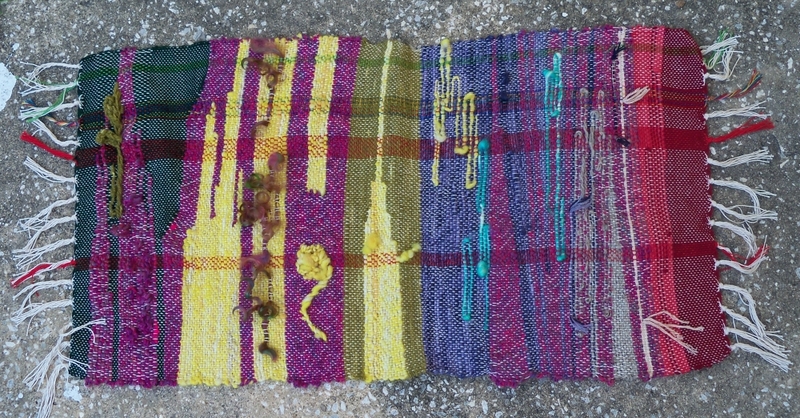 It was requested by the winning bidder that I focused on healing for her recent heart attack. I researched some colors said to have healing properties, colored some mandalas for inspiration and then raided the yarn stash. Red, fuschia, green and blue all have healing properties for various reason, but I threw yellow in there because to me healing and the sun and happiness go hand in hand. Hopefully the recipient will like it. 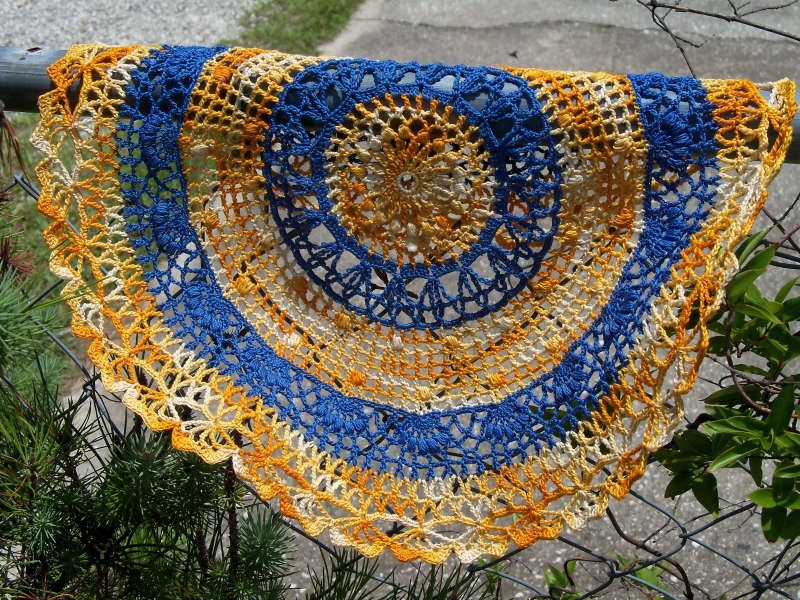 My latest crochet mandala followed the Doily 21st Century pattern by Sonea Delvon using a variegated gold and medium blue. It reminded me of the bright summer sun and clear blue skies! 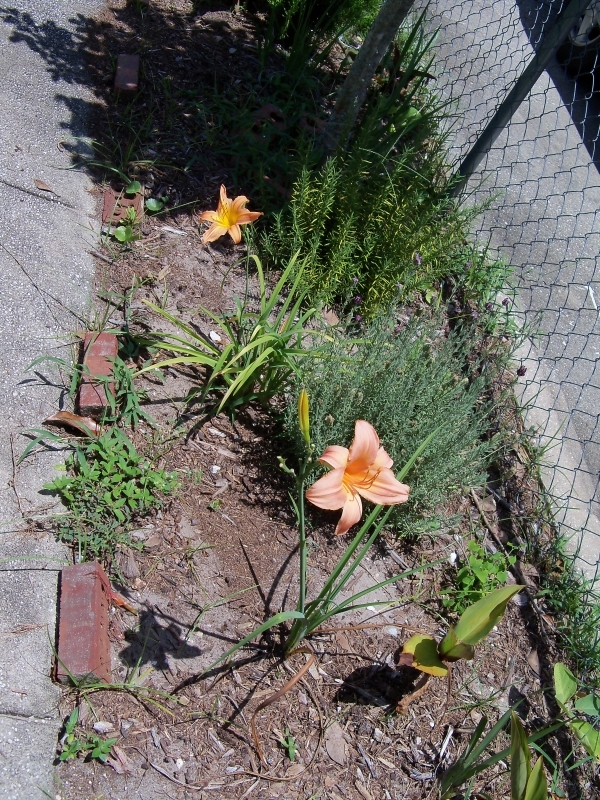 Some pictures from the front garden. 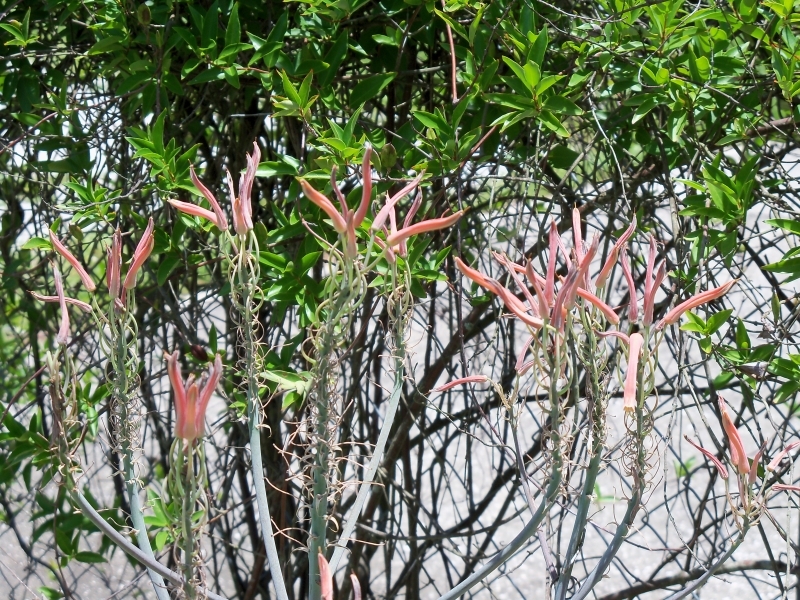 I often forget to share the excitement of the flowers because they are old news to me. They are still little miracles though and some hold dear memories. 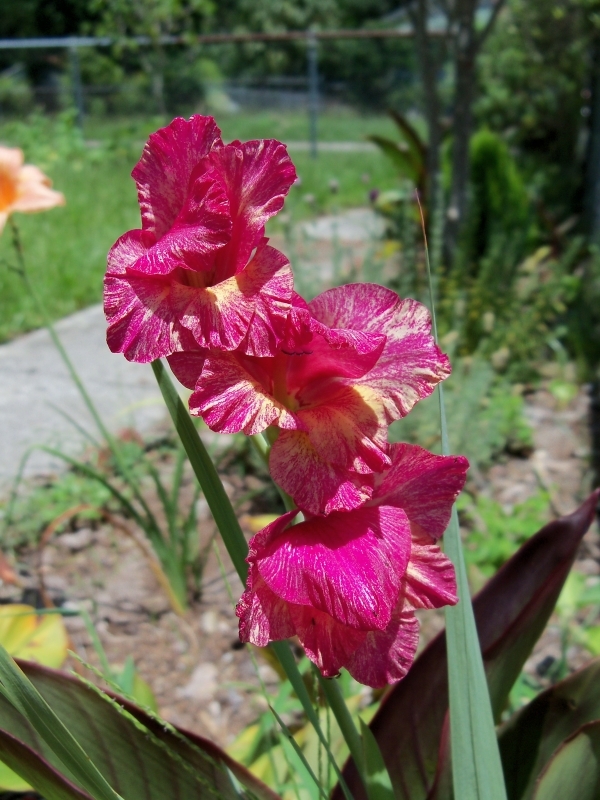 Gladiolus bulb I planted 11 years ago and moved from house to house keeps coming back every year. My favorite summer surprise! 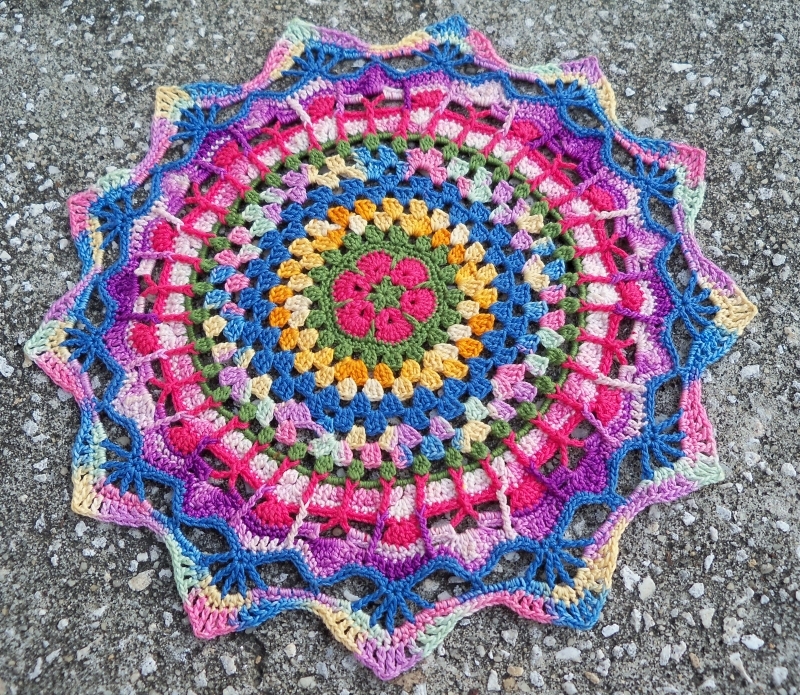 This mandala started with the African Flower pattern from Crochet with Raymond and deviated into her Granny Mandala pattern, then went just totally on it’s own way. I did make one error that ultimately affected the symmetry of the entire project, but who doesn’t need a reminder of their imperfection? 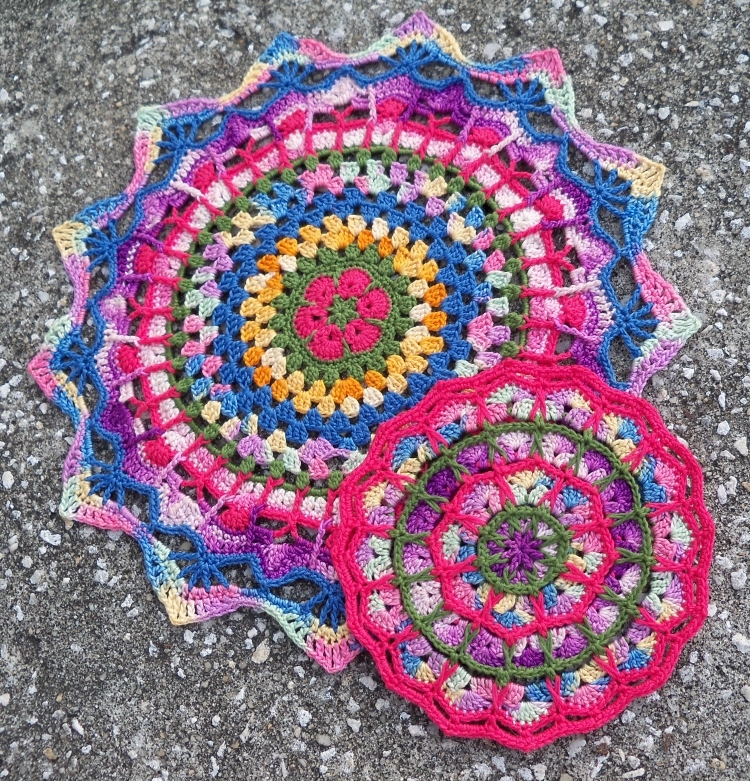 Here is a pic together with the Magic Spike Mandala so you can see how much larger it is. Going in another direction, I decided to try my hand at drawing a mandala. Not great, but ok for a first attempt. 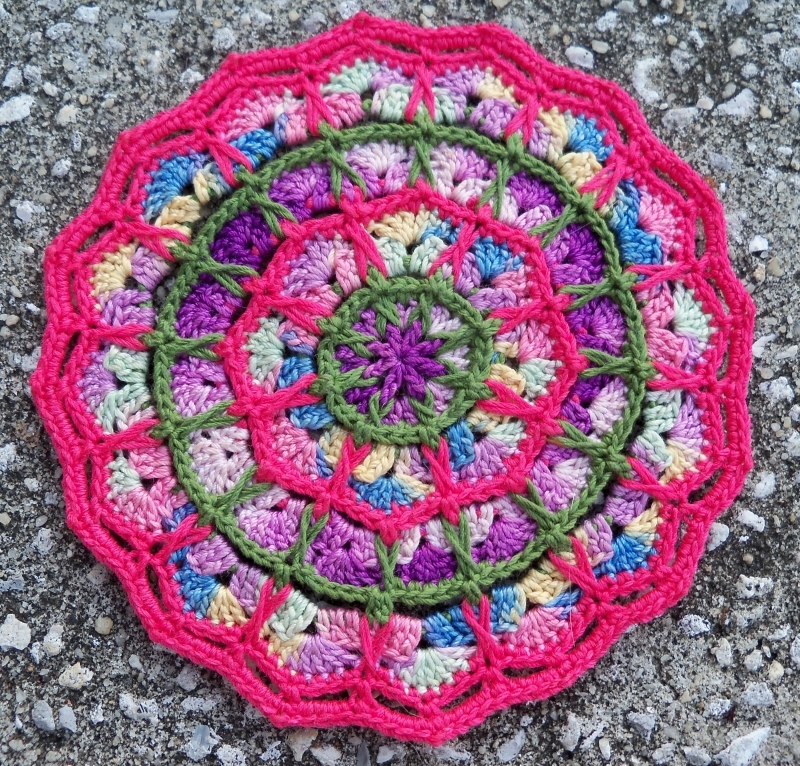 This little mandala (only about 4.5″) was such fun! 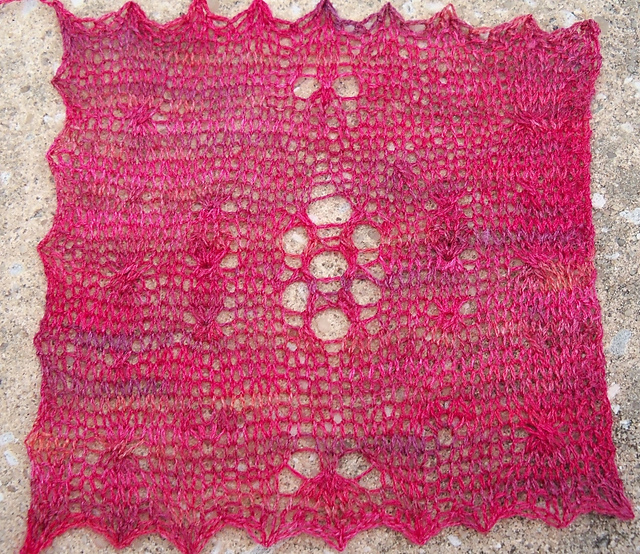 You can get the pattern at moogly blog. 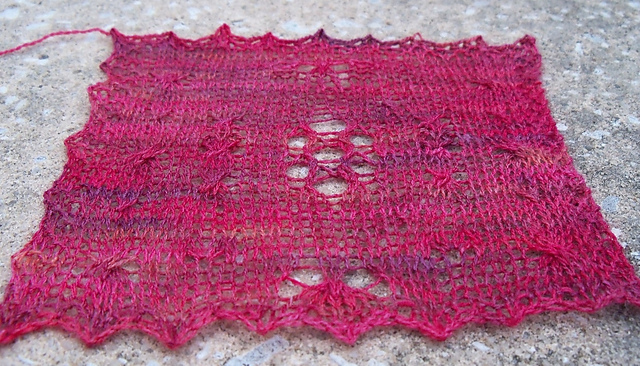 I used crochet thread instead of the recommended worsted yarn for a different look. I have been obsessed with mandalas since we started coloring them with the kids at RE to help the kids relax and listen to the story. 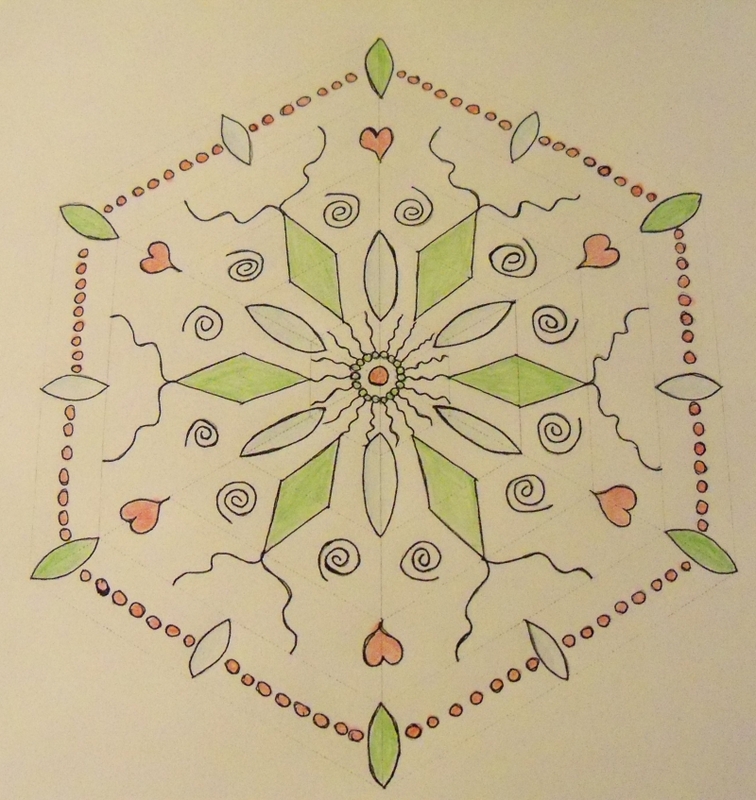 Mandalas have been used in meditation practices in many places and cultures. What are your favorite mandala patterns? Baby Lace and Baby Tomatoes! Finished a lace baby dress for my niece Aliyah’s first birthday. 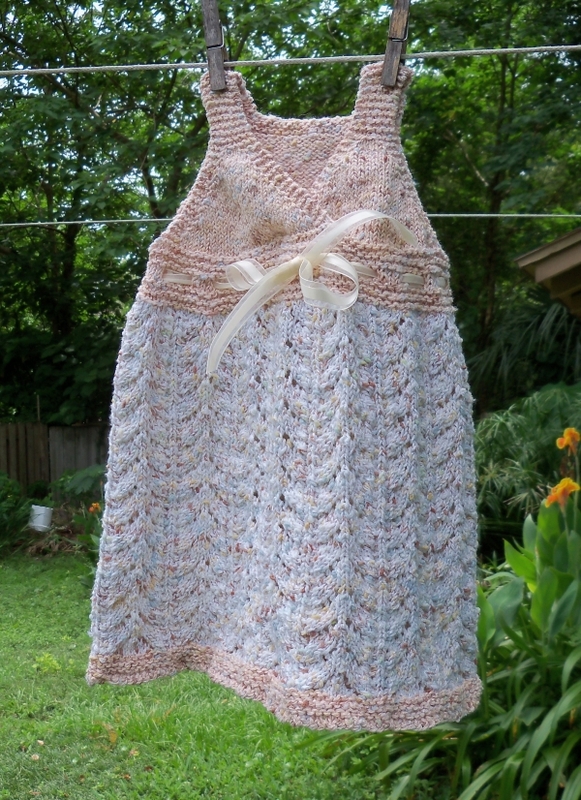 The pattern is Cadence Rose Sundress available for free download on Ravelry. I am so proud of how it turned out! 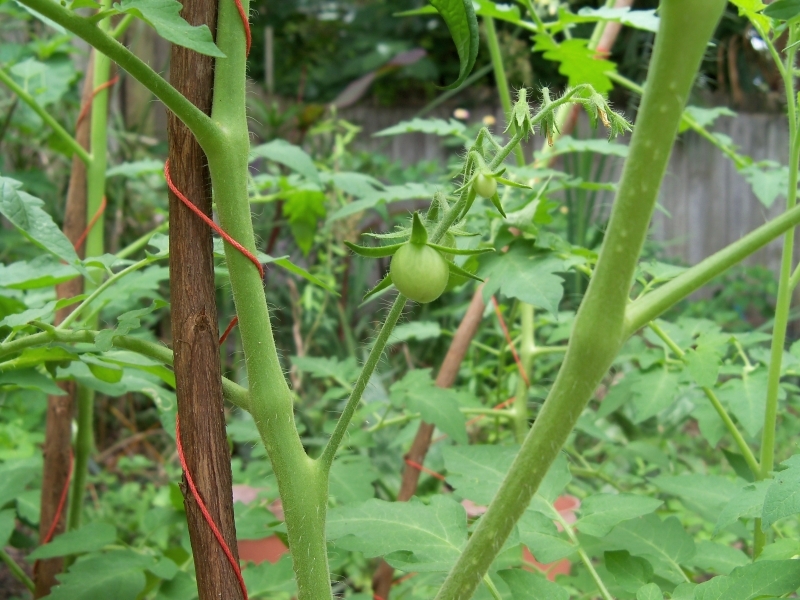 And I have baby tomatoes!! The variety is Hartman’s Yellow Gooseberry from Baker Creek Seeds. …and no, none of these babies are mine! Benjamin is the newest addition to a lovely family at our church and Cole is my cousin’s first child. 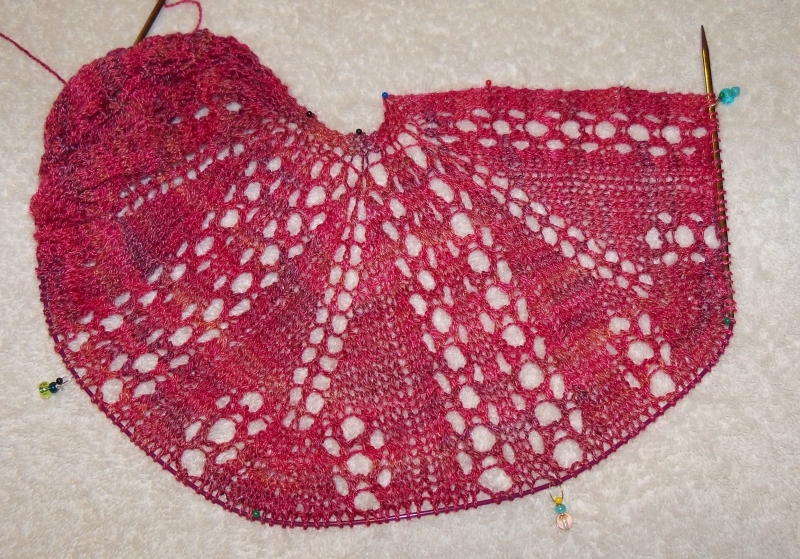 I am now steady knitting on a dress for my littlest niece Aliyah who is turning 1 this week! New yarny projects – finally! 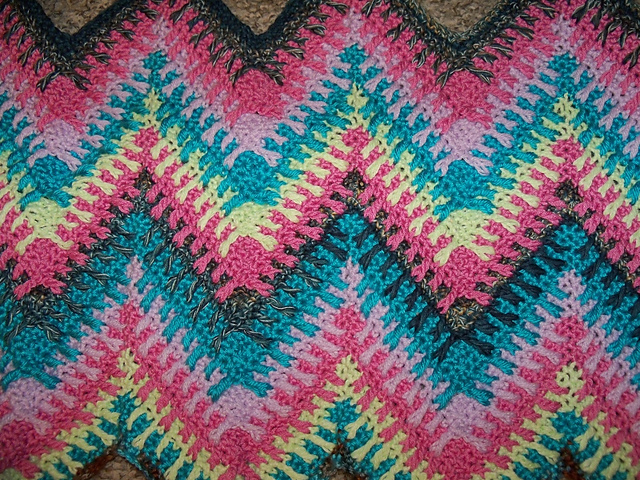 Firstly I have been working on Icicle Dreams – a baby blanket ripple pattern from a leaflet I got from a thrift store grab bag. Lots of bright colors! And Tiziana has another knit-a-long going on! She’s calling it the MnM (Mystery – No Mystery). I have decided to keep it a mystery, so anyone who decides to peak, don’t tell me anything! The yarn I’ve chosen isn’t ideal, but it’ll have to do. It’s the only thing I have enough yardage of. I got it in an awesome grab bag from shopgoodwill.org. I’m working on an elf hat design for my church’s Christmas Pageant. My son signed up to be an elf, so I inadvertently volunteered myself to come up with elf hats for all the elves 🙂 Honestly it’s the least I’ve been bothered by someone asking me to make something in a long time. I am genuinely happy to be able to contribute my talents to the church. Here are my first two efforts, 1 knit and another crocheted. Thanks to SHOPETSY on YouTube for the corkscrew spiral tutorial!